A Family Skiing in Maine: 2017-18 Maine Ski Season Off and Running! 2017-18 Maine Ski Season Off and Running! After an unbelievably warm September & October it appears November is back to a more typical weather pattern and the big Maine mountains are making snow and opening lifts & terrain. Both Sugarloaf and Sunday River got their lifts spinning last weekend and are off to a good start. 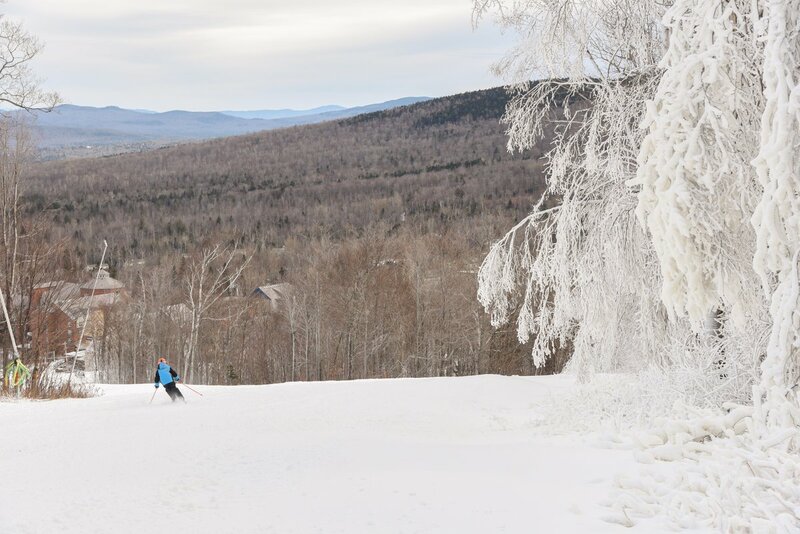 Some of our favorite smaller hills like Lost Valley, Shawnee Peak, Mt. Abram, Black Mountain of Maine, Big Rock and others are testing snow guns and making preparations to open later on this winter. The @MaineSkiFamily crew are are utilizing Boyne Silver, Millennial and College season passes again this year. 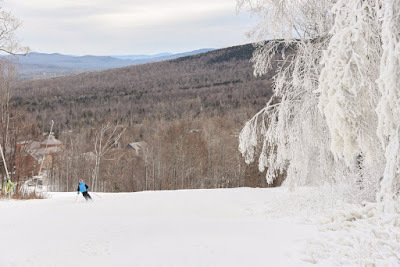 We will get a bunch of ski-days in at Sugarloaf, but on our blacked-out days we will be sure to visit some of the smaller hills we love to visit each year. Ski swap season is in full-swing. There are still swaps left to go but they wrap up by early December. Check out my 2017 ski-swap page for all the details on swaps near you. Ski-swaps are my go to place for extra ski poles to get me through the ski season... as I am bound to break one or two. The Ski Maine Association is holding a 2017 ski season launch party this Thursday, November 16 in Portland at the US Custom House Building. The event runs from 5:00 pm to 7:30 pm. Shipyard Brewing Company will offer samples of some of their best beers, a chance to meet with your favorite Maine ski area and a silent auction with fantastic prizes. Should be a fun time with the Portland Maine Parks, Recreation & Facilities Department Payson Park Snowmaking Fund benefiting from the $25 per person admission. One of my favorite on-mountain volunteer groups out there is the Angry Beavers of Black Mountain Maine. This group is charged with the maintenance and creation of the gladed terrain at Black. This has turned this fun trail cruiser mountain into a great all day excursion for skiers of all abilities. There are some fantastic glades here and the Angry Beaver crew does an awesome job providing this terrain for the mountain guests. I am looking forward to checking out the new East Bowl glade this winter! I highly encourage you to visit Black. Great lodge, friendly people and great skiing. And of-course there is the on-going ownership situation at Saddleback. Back in June, 2017 the Majella Group entered into an agreement to purchase Saddleback and get the mountain ready to open again. I advised at the time in a blog post that this is going to take time and we will have to be patient. I appear to be right on both fronts. The deal has not closed yet, and any skiing that happens this year will be very limited. It appears significant work is being done on-mountain and off and we are just going to have to see how this all shakes out. Unless we have a few spare million dollars hanging around that we don't know what to do with... all any of us can really do is to be supportive as possible and hope for the best. 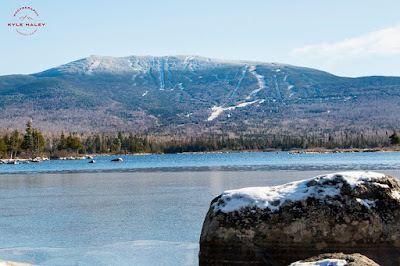 I really do hope this turns out positively for the current and future owners, the employees, the condo owners, the Rangeley area businesses and the skiers that would love to call Saddleback home again. Keep an eye on the Saddleback Facebook page for announcements and new developments. It's a great time of year! Ski season is upon us! 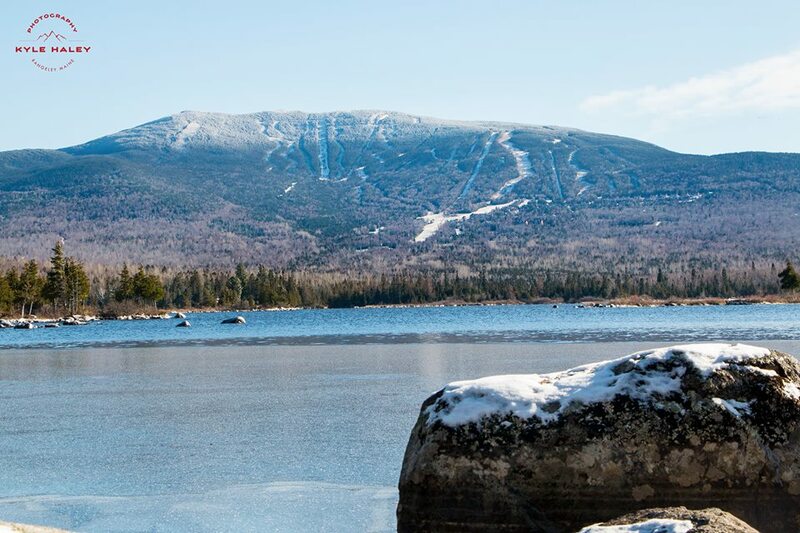 Get out there and enjoy all that the Maine mountains have to offer.